Back in April, Patton Oswalt guest starred on an episode of NBC’s Parks & Recreation titled “Article Two,” in which he played the role of a city resident upset about the potential removal of antiquated laws. One of the outtakes from the episode included an improvised 8-minute Star Wars rant which quickly went viral. And now the Nerdist Channel on YouTube has animated Oswalt’s rant, which you can watch below. Get ready for a new Star Wars animated series premiering Fall 2014 on Disney XD. Variety reports that Lucasfilm Animation is developing a new animated Star Wars TV comedy series. 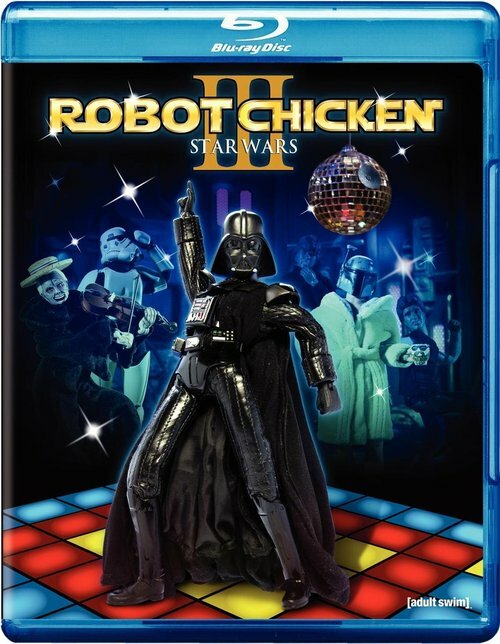 Yes, you read correctly… a Star Wars comedy series. But really, are you surprised? If there is one thing George Lucas loves, it’s milking the Star Wars franchise for every golden drop. Jennifer Hill, winner of a Daytime Emmy and Gemini Award, whose credits include Nickelodeon’s The Backyardigans, will produce the show, while Todd Grimes, who’s credits include Nickelodeon’s Back at the Barnyard will direct. Writers will include Brendan Hay, who has written for the show Republicans love to hate, The Daily Show. Also, Seth Green and Matthew Senreich, creators and executive producers of Robot Chicken, will have creative involvement in the series. No start date or network have been announced. Star Wars: The Clone Wars The Complete Season One is coming to DVD and Blu-ray Disc November 3 from Lucasfilm Ltd. and Warner Home Video. Uniquely packaged with an exclusive 64 page production journal, the four-disc set contains all 22 episodes from the first season. Star Wars: The Clone Wars The Complete Season One is presented in widescreen with English, Spanish and French 5.1 DTS audio and English, French and Spanish subtitles. Â· 22 Episodic Featurettes that go behind-the-scenes with Supervising Director Dave Filoni and crew about the making-of each episode. Â· 64 page production journal that includes early sketches, artist notes, and concept art from each episode from Season One. Â· Blu-ray Exclusive â€“ The Jedi Temple Archives: An extensive database exploring test footage, early concept art, 3-D character and object turnarounds and early animation. The Archives is a rare look at the assets in various stages of creation for The Clone Wars, with a wealth of surprises and never-before seen moments sprinkled throughout. Lucasfilm Animation’s Star Wars: The Clone Wars, which found success on Cartoon Network, will re-air on TNT this February. The show will debut on TNT with back-to-back high-definition episodes on Saturday, February 14, at 11 p.m., following NBA All-Star Saturday Night. The series will then air, also with back-to-back HD episodes, in its regular timeslot, Wednesdays at 10 p.m., beginning February 18. The series premiered on Cartoon Network with 4 million viewers, nabbing the record for biggest premiere in the network’s history and was #1 in its time period in cable and broadcast for boys 6-11. 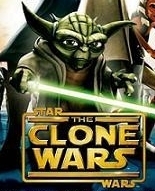 Star Wars: The Clone Wars broke the Cartoon Network record for most-watched series premiere in network history on Friday. The one-hour premiere was the #1 program from 9-10 p.m. among all major kids networks in kids 6-11, kids 2-11, tweens 9-14, teens 12-7 and persons 2+, earning triple-digit increases compared to the same time period last year. The premiere also attracted the largest tweens 9-14 audience for any premiere of an original series in Cartoon Network’s 16-year history. Check out the rest of the new images at NBC11.